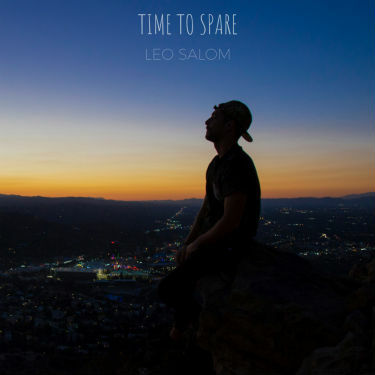 Time to Spare is a new single from Leo Salom, a DJ/producer who divides his time “between Rome, Italy and Los Angeles, California.” Time to Spare is a medium paced dance track with a light ambiance and quite a bit of musical dynamicism. There are a lot of elaborate, somewhat unexpected transitions and vocal layerings in this song, as Leo manipulates the sound effortlessly. He could have gotten way with just having one steady beat and playing it lazy with stylistic monotony…and the song still would have been pretty good. Impressively he utilizes breaks and transitions to transform different parts of the track into substantially different musical components, which he manages to piece together in a manner that doesn’t seem forced or awkward. Indeed, this is a very slick production. It’s energetic party music but very ambient and calmly cerebral. Time to Spare is dance music for club-goers of a slightly elevated consciousness. If I had to make one mild criticism, it’s that the words of some of the vocal samples can be difficult to understand. It doesn’t really matter though, because this kind of music is intended to be more abstract. It’s promotes a certain carefree, vibrant state of mind, and in this case, it is very well done.